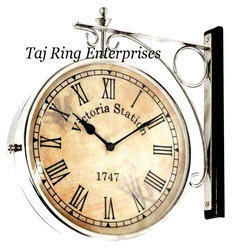 Manufacturer of a wide range of products which include antique station clock, victoria clock, brass victoria station clock, eichholtz victoria station clock, colored wall clock and antique brass station clock. 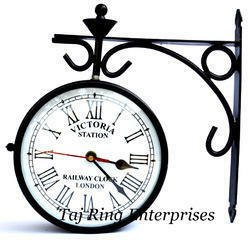 Victoria Station Wall Clock larger size white Roman Numerals and hands A similar style also available in Brass. It is Used For Home, Station, Office, Company Decoration. 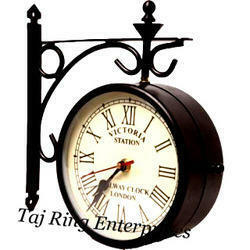 This is beautiful Antique Finish Victoria Station Clock. 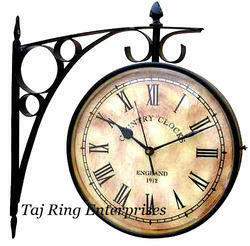 Roman Numerals And Hands A Similar Style Also Available In Brass. It Is Used For Home, Station, Office, Company Decoration. This Is Beautiful Marine Wall Clock. 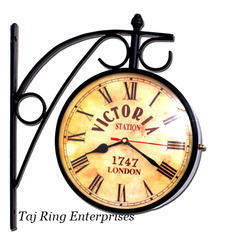 "victoria Station Railway Clock London"its Made Of Solid Brass Victoria Clock. 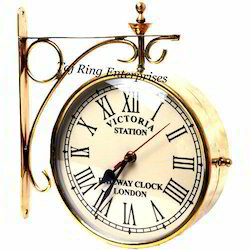 Regent Street Wall Clock larger size with ornate bracket, Antique dial,white Roman Numerals and hands A similar style also available in Brass. 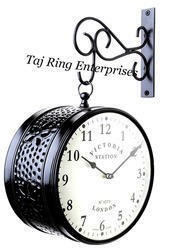 It is Used For Home, Station, Office, Company Decoration.This is Beautiful Marine Wall Clock. 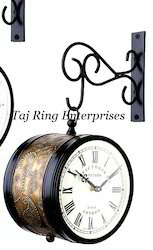 Regent Street Wall Clock larger size with ornate bracket, Antique dial,Brown Roman Numerals and hands A similar style also available in Brass. 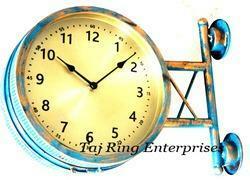 It is Used For Home, Station, Office, Company Decoration.This is Beautiful Marine Wall Clock. Awesome Style Nautical Station Wall Clock This is Beautiful Marine Wall Clock.All work is hand MadeIts Best Gift For Collectors.It is Used For Home, Station, Office, Company Decoration.This is Beautiful Marine Wall Clock.Avaialble In all Sizes Its Beautiful Sation Clock Replica Maine. Awesome Style Nautical Station Wall Clock This is Beautiful Marine Wall Clock. 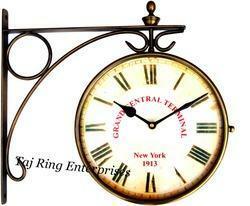 Wall Clock.Avaialble In all Sizes Its Beautiful Sation Clock Replica Maine. This is Beautiful Marine Awesome Style Nautical Station Wall Clock This is Beautiful Marine Wall Clock. Home, Station, Office, Company Decoration. This is Beautiful Marine Wall Clock. 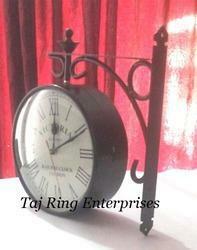 Wall Clock.Available In all Sizes Its Beautiful Sation Clock Replica Maine.